T. L. Howard has been fascinated with the “what-ifs” all her life, sometimes to the point of distraction. She is now well into adulthood and still can't stop asking that question. She was born and educated in the state of Nebraska and currently resides there where she is employed at the university. The Crystal Key is her first novel and her first venture into the realm of fantasy. When not writing, which is seldom as evidenced by her bad housekeeping, she enjoys needlework, walking, and a good movie. 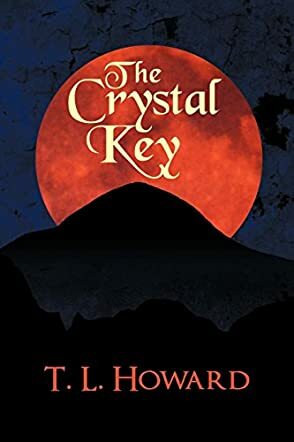 The Crystal Key by T.L. Howard is a captivating story about a young girl named Mirah, whose life was disrupted by a man named Rasmun, a man searching for the girl with the crystal key that will help his Lord come into power. Though he initially failed, Rasmun is determined to get his hands on Mirah. Many years later, after the death of her mother, Mirah is suddenly forced out of her familiar life to spend several months on the road with three knights. Though none of them know Mirah's importance, this much is certain - she's in danger. T.L. Howard kept me captivated throughout the whole story. The plot was interesting and very different from other books in this genre. The characters, especially Mirah and Roenin, were interesting. Their constant fighting throughout their travels kept their journey somewhat lighthearted, despite the fact Mirah was being targeted repeatedly by Rasmun. Watching the characters grow as people and build new relationships helped with the overall plot. Each character was well thought out and had an in-depth angle to their backgrounds. I don't like books with flat, unrelatable characters, so being able to put yourself in the story is important to me. This book made it easy to do so. The reader can identify with the personal struggles of the characters, such as being being forced to have something familiar taken away from you and having a huge responsibility placed on your shoulders. The book had some humor, romance, action and suspense, making it interesting for almost anyone. I would reread this book many times over.